I found the description of this book to be very vague but it is hard to describe anymore without giving away too much. That being said, I do think it should be made clear that this is a very short story (it took me about 10 minutes to read) and would perhaps be better as part of a collection of short stories rather than as a book on it's own. The main character is very well formed and you can really get into his head, but the story is a little predictable. Other reviewers mentioned they found it scary and from that I was expecting a horror story, but I actually find it quite mild. 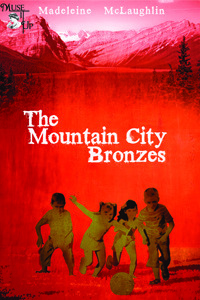 Overall The Mountain City Bronzes is an enjoyable, if short, read.